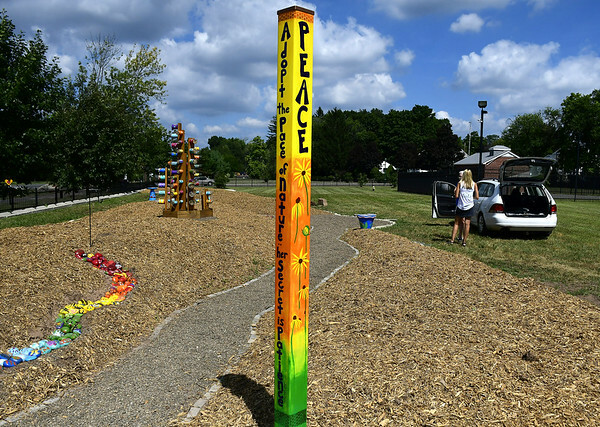 SOUTHINGTON – “Art For A Cause” has created a pollinator garden featuring the art of local elementary age students behind the YMCA. Art for a Cause is spearheaded by parents Kim Rees and Clare Bean, who run the program together. Bean noted that the Southington garden club had also created two pollinator gardens along the Rails to Trails. Rees said that it has become a nationwide trend within the past couple years to create these gardens where possible. Rees said that approximately one third of all food we eat relies on pollinators to exist, including fruits, vegetables, chocolate and coffee. Other wildlife also depends on these habitats for survival. “The whole food chain is affected,” said Rees. 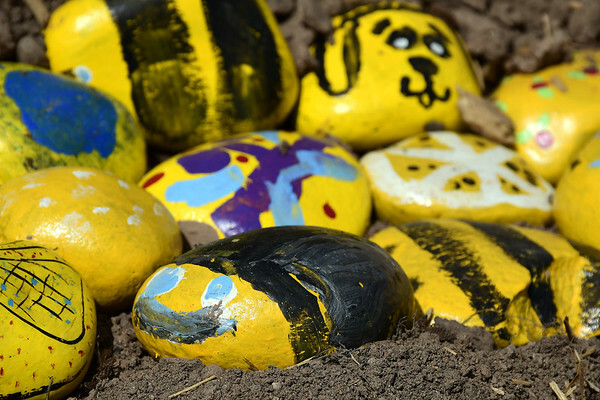 The pollinator garden includes artwork from students in second to fifth grade including stones painted to resemble ladybugs and bees. 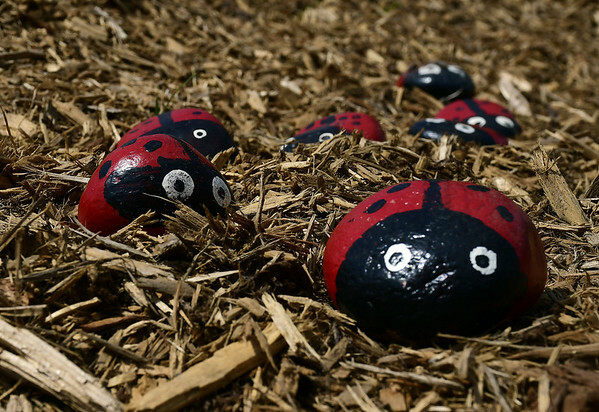 Other stones, decorated with rhinestones, will provide stepping stones for a walking path. 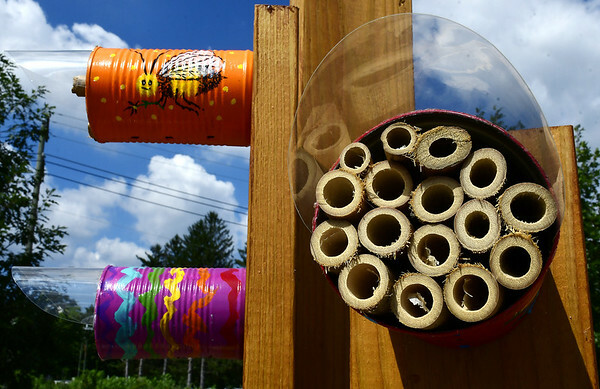 A post holds numerous cans filled with bamboo reeds to create a habitat for mason bees and, this Friday, more than 200 perennials, donated by Casertano’s Greenhouse and Farms of Cheshire, will be planted to attract other pollinating insects. 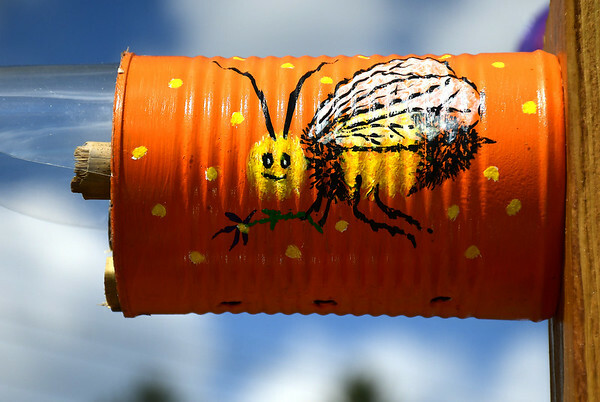 “The bees that we hope to attract are all species that are docile and friendly,” said Rees. Last Monday, Bean said, volunteers from Lowes donated their time to build a foundation for the garden. A week later, Rees and Bean brought over the students’ artwork. 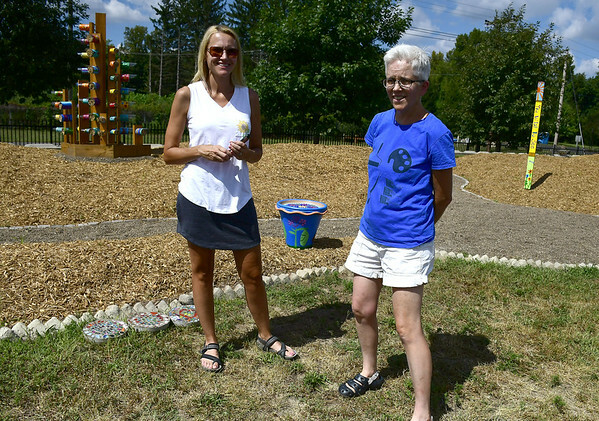 Rees said that she is hoping to hold a ribbon cutting by the end of this month and said that the flowers planted will likely bloom next Spring. “With this garden, we are presenting an issue in the community to kids and we’re getting them excited to help out,” said Rees. “One small act can help change the world,” added Bean. Posted in New Britain Herald, General News, Southington Herald on Friday, 14 September 2018 18:14. Updated: Friday, 14 September 2018 18:16.